Carole Jo Morehouse, 81, residing in South Bend, passed away at 2:40 am Thursday, November 8, 2018 in her home. She was born December 16, 1936 in Kellogg, ID to the late Peter F. and Clarabelle E. (Arms) Destefano and moved to the South Bend area in the late 1960’s. Carole graduated from Marycliff High School in Spokane, WA. She earned her bachelor’s degree from Viterbo University in La Crosse, WI and her master’s degree from Indiana University, South Bend. Carole served on the MEA Negotiations Team and taught at School City of Mishawaka for 42 years before retiring in 2001. She also worked for Dr. George Craig at the University of Notre Dame doing mosquito research. Carole was a professional dog trainer and also studied science methods at IUSB. On January 11, 1969 in South Bend, Carole married William F. Morehouse, who survives. 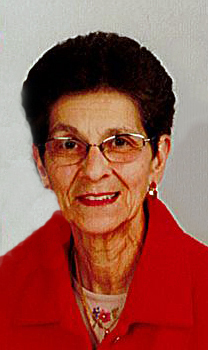 In addition to her loving husband of 49 years, she is survived by Suzette Jozwiak, long time best-friend; and by brothers, Dennis Destefano of San Jose, CA and Gary Eastep of Phoenix, AZ; one niece, Danielle Destefano; and one nephew, Peter Destefano; as well as aunts, uncles and cousins in the Spokane, Washington area. She is also survived by her stepdaughter, Patricia Herod; grandchildren, Rhonda Eaton, Rose (Michael) Griffy and Michael (Ashley) Alexander; step grandchildren, Rick (Pauline) Powell, Ron (Cindy) Powell, and Robin (Mike) Dodson; and many great, great grandchildren. Mass of Christian Burial for Carole will be celebrated at 9:30 am on Thursday, November 15, 2018 in the Basilica of the Sacred Heart on the campus of the University of Notre Dame. Graveside services and burial will follow in St. Joseph Valley Memorial Park, Granger. Friends may visit with the family from 4:00 - 7:00 pm on Wednesday, November 14, 2018 in the Palmer Funeral Home - Hickey Chapel, 17131 Cleveland Road, South Bend, where a rosary will be recited at 6:30 pm. Expressions of sympathy in memory of Carole may be donated to Alzheimer’s & Dementia Services of Northern Indiana, 922 E. Colfax Avenue, South Bend, IN 46617 or the Center for Hospice Care, 501 Comfort Place, Mishawaka, IN 46545. Online condolences may be left for the Morehouse family at www.palmerfuneralhomes.com.